5G - New Dream Network? 2G, 3G and 4G/LTE represent the evolution of mobile networks. We are all using mobile internet on daily basis and are well aware of the disturbing problem regarding the network coverage and data transfer speed, especially at crowded events or indoors. Even today we still have areas where only GPRS, EDGE or 3G coverage is available. If you are used to the 4G/LTE network, older generations feel painfully slow. But, all of this is about to change in the near future when 5G will be launched. There is a long list of devices and use cases waiting for upgraded mobile internet with wider coverage, lower latency and unbelievable speed just to receive somewhat the same instant experience we get when using our computers and connected devices in local area networks (LAN). Imagine the user experience of real-time video streaming, VR/AR solutions, connected cars, robots or other similar devices that constantly move around without experiencing interruptions or getting disconnected. There is great news for everyone dreaming about the future of mobile data connections: a lot of work is being done for releasing the next generation of mobile networks and it is predicted that by 2020, 5G networks will be widely deployed. It should solve most problems regarding coverage, the number of connected devices, latency and bandwidth of mobile networks. 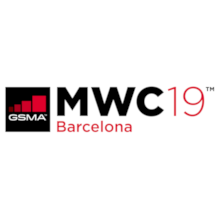 GSMA expects 5G to reach 1.1 billion connections by 2025 and its network to cover 1/3 of the world’s population. It is important to understand that mobile networks and devices have been evolving from simple phone service infrastructures to more general IP service gateways. Even with current 4G networks with bandwidth up to few hundred Mbit/s most services and applications use mobile internet, rather than just voice calls or SMS. 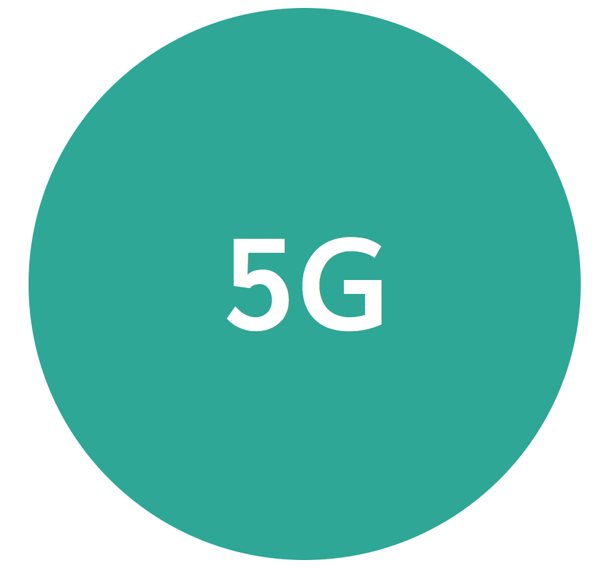 The theoretical speed of 5G will be more than 10 Gbit/s, with already successful tests carried out by Samsung and Nokia with latency less than 10ms. 5G will not be the final upgrade to mobile network technologies, but it will definitely be a tipping point and will open many new doors for the future. Downlink peak data rate: 20 Gbit/s, uplink peak data rate: 10 Gbit/s. In dense areas, experienced downlink data rate 100 Mbit/s, uplink 50 Mbit/s. At least 1M connected devices per 1km2. Covering connections and speeds when walking and to driving at up to 500 km/h, for example in trains. Interruption time, when migrating between radios should be zero. 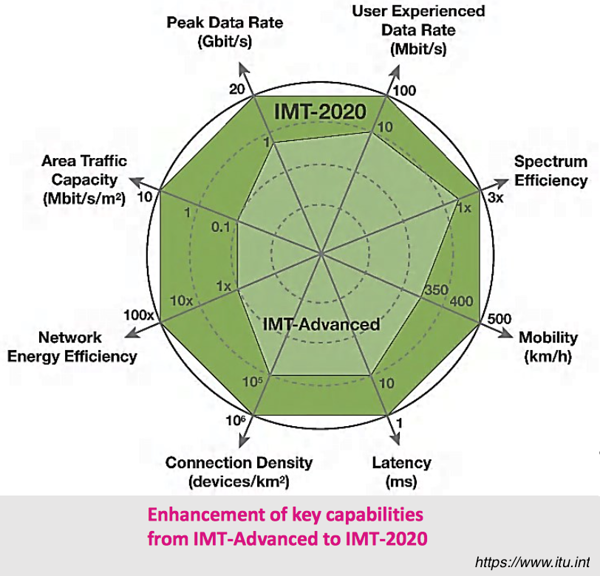 According to Institute of Electrical and Electronics Engineers (IEEE), some of the new promising technologies for 5G will help to deliver data with less than 1ms of delay (compared to 70ms on today’s 4G networks) and can bring peak download speeds to 20 Gbit/s. In order to actually provide services up to par with such high expectations, many problems have to be solved like sharing the bandwidth, less interference, zero disconnections etc. For that reason several new technologies are being developed: millimeter waves broadcasted at frequencies between 30 and 300 GHz; smalls cells miniature base stations that require minimal power; massive multiple-input multiple-output (MIMO); beamforming, which helps massive MIMO arrays make more efficient use of the spectrum around them and full duplex to transmit and receive data at the same time, on the same frequency. All these technologies depend on each other, meaning that solving problems for one gives a better future for the other. We just have to see what is possible with current developments and how far we can push it. What good would 5G do for M2M and IoT sector? 5G is designed to meet low energy consumption needs, so it means that more data can be sent while consuming less power, compared to 4G and older networks. This is especially good for IoT devices that are implemented in forests, parks and in general, public environment. "Accelerate digital transformation of industry verticals: mobile industry will provide networks and platforms to drive digitisation and automation of industrial practices and processes." "Drive growth in new use cases for massive IoT and critical communications services: 5G networks will support massive rollout of intelligent IoT nodes for a multitude of scenarios, including critical communications services." 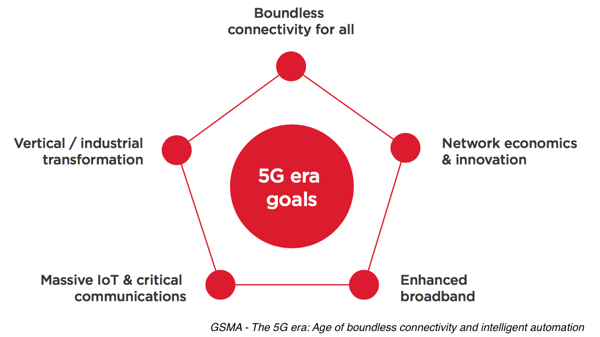 These goals are a few of the key points, which show that 5G is also focused on the IoT and M2M sector from day one, allowing them to take the most out of the ultrafast mobile internet, either while streaming ultra high quality video or just sending a few megabytes of data in low power mode. Once 5G gets deployed, 4G/LTE and older networks will still stay present, meaning from a current perspective that we do not have to start buying new 5G modems quite yet, led by the fear of being disconnected. As the operators constantly invest into future technologies, it should be understood that nothing lasts forever and at least 2G and 3G networks will eventually get shut down to make room for new technologies. However, by 2020 we hope to see also NB-IoT and LTE-M as alternatives for the M2M/IoT market, next to 5G. Read more about NB-IoT and LTE-M here. Let’s keep an eye on the progress towards 5G and hope it will actually be the next big thing in mobile communication. Hopefully, it will solve a lot of problems with consumer devices, as well as create new opportunities for time-critical realtime solutions for eHealth, vehicles (V2X) and for IoT & M2M markets.